Unfortunately, water intruding in an elevator pit is more common than most would think. 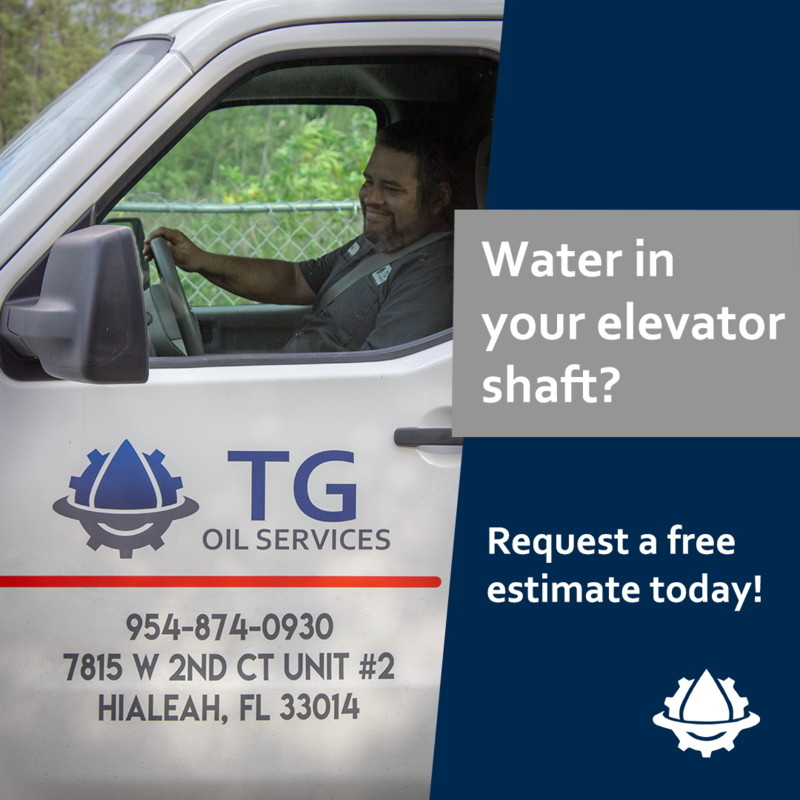 The actions you take after finding water in your building’s elevator shaft are crucial – these decisions must be made quickly to prevent building hazards and equipment damages. Operating an elevator when there is water near or in the elevator system is dangerous. This water can cause electrical short circuits, potentially trapping someone in the elevator cab or damaging the building electrical system. Your elevator company should be notified as soon as water is seen or suspected in your elevator system. It is extremely important to not try to fix anything yourself. Technicians are trained on how to properly handle these situations. Trained elevator pit technicians will inspect the area, check the machine room and offer a solution to remove the water and prevent further water intrusion. Trusting a company that is experienced and certified with oily water removal and elevator pit waterproofing is important. TG Oil Services is here to do the dirty work and ensure that it is done right, the first time. © 2014-2019 TG Oil Services INC. All Rights Reserved.